Going digital is the priority these days. One cannot imagine branding something that isn’t online these days. From transactions, to finding something online; from posting something to mining, everything requires online space and more over the acceptance factor. This is something we realize at ADing. We aim at doing the talking for you by offering the best online branding services at ADing online branding consultancy. We aim at helping you seek an anchor, a stronghold in the market when it comes to your online marketing assets. We help you go all the way where you seek legitimate customer base, we avoid confusions that your customer might have. We help you deliver on time. At ADing, we do the following that helps you grow your brand to greater shores. We help you build an identity. Creative is the new word and with the digitization of everything these days, the word creative seeks newer heights. 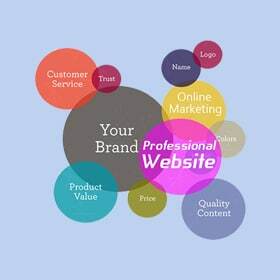 Our online branding services help you gain popularity on social media and other platforms. Online branding is about a cumulative process of getting together a set of deliverables being able to be delivered at a given interval of time. We create videos, broadcast messages, social media content, email loops, digital brochures and many more things that could go out as the face of the product. We help you find the right branding pitch, help you set the right customer tone, help you enable a right customer care, and optimize your business. We at ADing, help you strategize your brand and get stuff on rails of success. We segregate and pick the right kind of crowd for you. We design and put a boundary around the people you are looking for. We help you connect with people who are looking for you. Through our online branding services, we help you set a branding tone. Remaining consistent, throughout a campaign and helping people understand every phase of it remains our priority. We help you balance your online content on social media platforms and other places. We often provide viable solutions to trending problems. ADing has its unique way to integrate online marketing services such as SEM, SMM, SEO, and other reputation managing services, that helps you seek the right kind of brand popularity. With all this, we help you reach out to a greater audience. When you are googled we aim at making you reach the top five searches. We aim at making your brand trustworthy to your sought-out audiences and increase your product’s market base. We help you work in real-time. We help you understand what your competitors are up to, their market base, and we provide paralleled help to help you remain updated on the trending topics. ADing’s online branding services, helps you break the ideal stereotyping, and help you adopt the newest methodologies of marketing culture. Other than these services, we aim at making you approachable. Being responsive and interactive towards your customers is important and we aid that ideology. We give you a face value and also help you seek the reputation that will help you perform better in the market. ADing teams begin the assessment of your brand by helping you know where you stand in the market. After this, we help you make necessary changes to help you grow better and faster. We also help you gain insights on what you can do better that will showcase you as a better brand in the present and in the future. Along with this, we also offer exclusive offers on SEO, ORM, and other services that make sense when it comes to building a brand. To know and learn more, get in touch with our team!